Loving Plastic so far. Pretty much the only thing stopping me from grabbing a Plastic Cloud subscription or the Cloud Edition right now is the issue tracker integration. I'm currently a hobbyist / solo developer but work 50/50 between two computers on different networks, so Plastic Cloud would be really handy for me (I'm used to the world of Git repo hosting, where I don't have to worry about server setup and maintenance). But if I have to set up a server for the issue tracker anyway... well that kind of defeats the purpose for me. 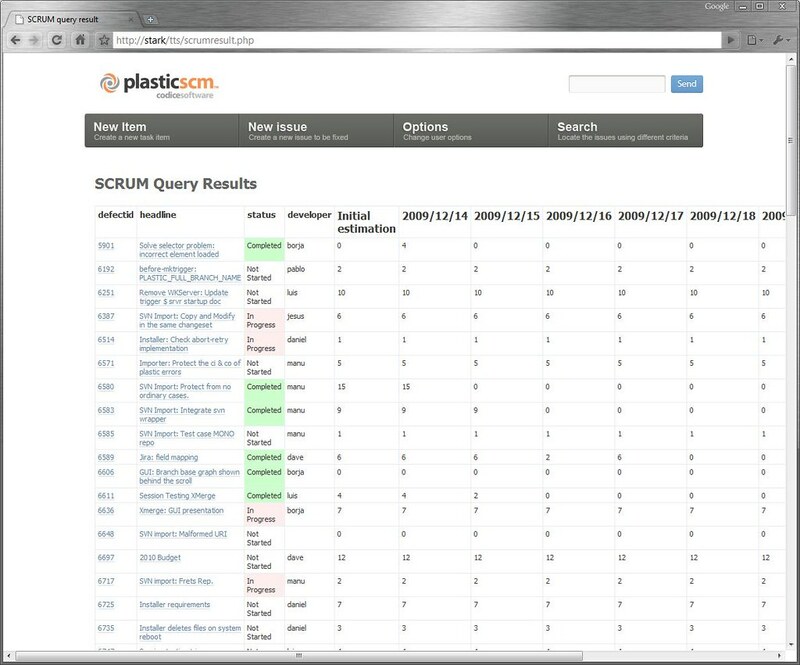 Ability to use Plastic Cloud as the server for one of the free issue trackers (eg, MantisBT). That would save people like me from having to pay for Plastic Cloud + pay for server rental or another cloud service for the issue tracker. Or even better, if Plastic Cloud came with the issue tracker server already set up and integrated, so we could just use it out-of-the-box like with most Git hosting services. Setting up and using Plastic SCM has mostly been a fantastic and painless experience, but the same can't be said for trying to get a free issue tracker up and running. Anyway, look forward to hearing back from you on my options. Really loving Plastic SCM and keen to get started properly as soon as possible. PS: on a slightly unrelated note, if I get Cloud Edition (or cloud extension with Personal Edition), that still comes with a localhost clone so I can checkin/branch locally (quickly) right? Also, if I get Cloud Edition for now but want to switch to Team Edition on-prem server in future, I can do that without losing any data right? Thanks for reaching out, and sorry for the delay, but we were discussing the solution internally. As far as I know, there shouldn't be a problem to connect your Plastic with a Mantis. Remember that the "integration" happens on the client side, so there will be the same integration whether you are on Cloud or on-premise. Just want to make sure I understand this (sorry if I've got this wrong, some of this is still new to me). While the "integration" is client side, most of the free issue trackers require a server to host the issue database so different computers can access it (similar to how Plastic requires a server to host the repo database). Now for those who already have an on-prem server or a VPS, that should be fairly easy (can just use the existing server for both Plastic and issue tracker). But for someone like me who comes from the Git universe and doesn't already have on-prem or VPS, if I decide to use Plastic Cloud as my Plastic server, I would still need to set up another server to act as the issue tracker server. Wouldn't that sort of defeat the benefits of choosing Cloud Edition (ie, convenience and not having to deal with server setup/maintenance, etc)? Also from a cost perspective, I would then need to pay for 2 servers (Plastic Cloud + separate issue tracker server), even if for example I was only using 1GB out of my 5GB Plastic Cloud allowance. I really love Plastic (as I'm sure you know by now), but have to say I've struggled at times with the move from Git to Plastic (and that is with a relatively small and unimportant code base without significant time pressure). It is not the UX or lack of a Plastic SCM book which has made onboarding hard at times - it is things like having to learn how to set up a server, having to research cloud compute and VPS options, having to set up a new issue tracker, thinking about whether I'll lose anything I care about when making the move (eg, open issues and pull requests / code review comments). Might sound trivial to you guys, but these were things which were completely new to me and had to learn in addition to a new SCM tool. The planned features to make workflows even more flexible sound nice, but even without those, Plastic is already so much more flexible than workflows possible with Git. It is really great to see you focusing on new features for your existing customers, but as someone who would love to see more people using Plastic, perhaps it's also worth thinking more about the current "barriers" that discourage potential new users? For example, see this forum post from another Git user, who says he thinks Plastic is one of the best VCS's but "learning a new toolset and switching the whole organization workflows is not something we can afford to do just to gain a few extra features". Perhaps Plastic's core features are already good enough, so it is no longer about adding more and more flexibility/features to attract new users, but more about making migration easier and less disruptive for new users (not just for migrating the repo itself - which you've already made easy with GitSync/P4sync - but for associated stuff like issue tracker and code reviews)? As long as the free offer remains though, it would be a viable solution alongside Plastic Cloud (for those who don't have on-prem / VPS). Personally though, I am probably going to stick with Azure DevOps' issue tracker (I prefer its simplicity) and just live without the integration or ability to link issues with changesets/branches. Or go old school and just use a spreadsheet. But thought I'd let you guys know about FogBugz in case it helps anyone else. @psantosl - I still stand by my above comments btw. When you guys are ready to take the fight to Git big time, I honestly think having an issue tracker you can use out-of-the-box with Plastic would be a big thing for all the Git users who are used to having one built-in to their Git hosting service. Being able to "one-click import" open issues would also be a big selling point, I'm sure. (You'd only need to support importing from the major Git hosting sites too - eg, GitHub, BitBucket, Azure - since those are the people most likely not to have their own server or standalone issue tracker). Finally this morning found Jetbrains' YouTrack. Similar to Jira in many ways but easier to setup and "only" needs 1.5GB RAM. No Confluence-style linking of tasks to design model, but self-hosted version is free for small teams and at least on my EC2 instance it's... responsive. Kind of. Is this the answer then? Time will tell. 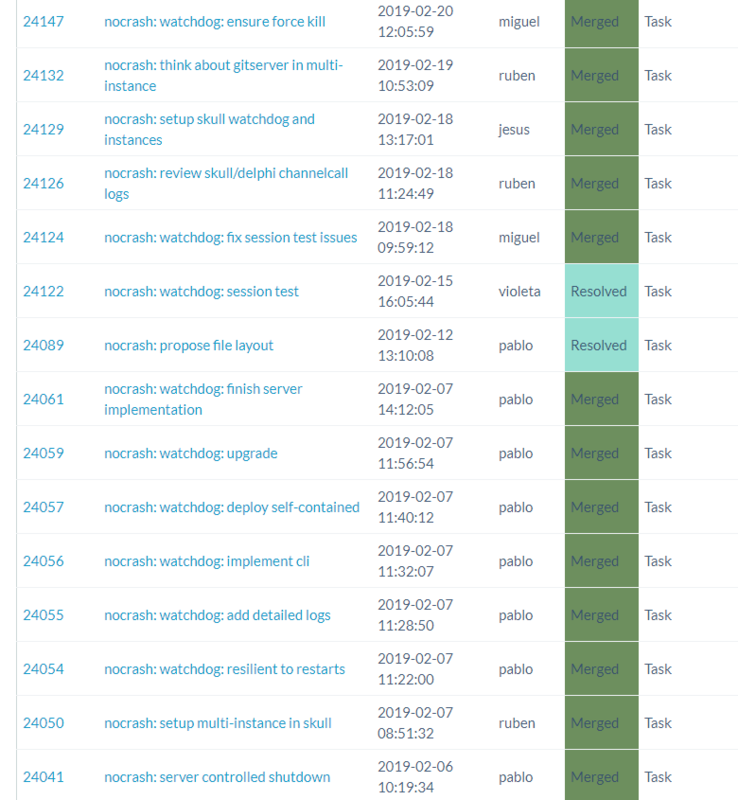 PS: But yes, despite the above, also starting to realise why you wanted to focus on SCM and not have to worry about maintaining an issue tracker product. Such a saturated market these days!! I normally don't even use the issue tracker integration in Plastic. I mean, I know it is an extremely simplistic approach, but what I love is that it is so vanilla, so simple, so bare, that it always works and you don't force anyone to go through integrations or anything. I mean, I do my checkins from the GUI, not from a plugin, so I might be a weird kind of programmer or something, but I really, really like to keep things super simple. Hmm yeah, you're right. Simple is best. I got drawn in by the prospect of a cheap/free perpetual license - which would have been really nice - but it's getting to the point where I just need to pick something... anything... and just get a move on! Do you mind me asking how you organise/track tasks in the context of a bigger picture design goal? What I mean is, take for example your designs for the new code review system - now obviously that would involve a very large number of bite-sized tasks to implement incrementally. How do you (a) make sure people keep the overall vision in mind while chipping away at the individual tasks, and (b) track progress of the overall feature? I'm not sure what you think of this article, but I stumbled upon it while looking into issue trackers, and that's what initially got me excited about using either HacknPlan or Confluence+Jira. Both allow you to create a moving/living design vision by organising pages (which could contain anything from detailed requirements to UI mockups or just rough notes/ideas) into a tree. Then you can link tasks to those design pages, so people working on a task can easily see how their task fits into the bigger picture. And similarly the design page shows the live status of all linked tasks so you can quickly get a feel for how the overall thing is progressing. For super small things, just a task that gets fixed and released asap. Nothing fancy. This is true for many of the tasks that enter our releases on a weekly basis. For big things we try to keep a full list of what needs to be done, and, we don't use the issue tracker for that. I was never comfortable with that approach. We create a list of everything that needs to be done (in a text file, an excel, whatever) and then start assigning a task number (enters the issue tracker) to each line as soon as we know we are going to really implement it. (This avoids wishful thinking and creating things that at the beginning sounded good but then never get implemented). Probably using an external list for this is pretty cheap, and we'd enter everything in Jira if we used Jira... but since our issue tracker is so simple, we simply don't do that. We toyed with the idea of implementing a way to group tasks, but to list things to be done... well, a list is better. That being said, last September we switched from Scrum to Kanban. 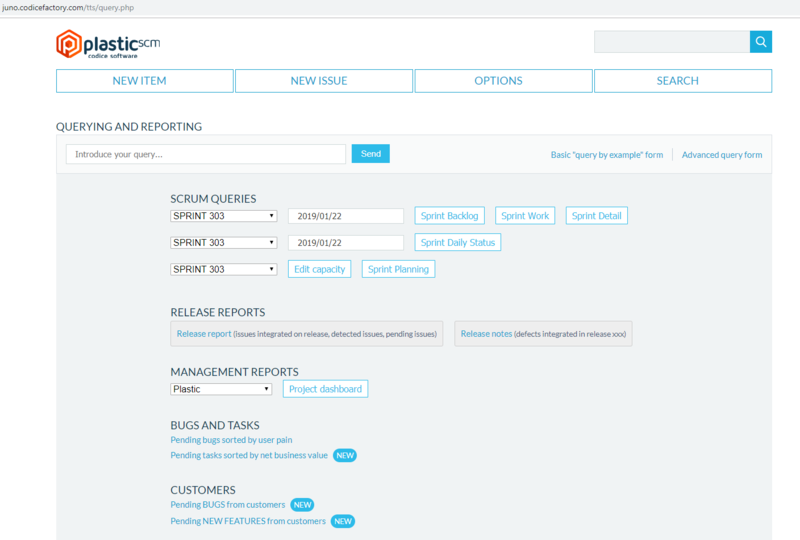 We've been on Scrum for 13 years. It was sort of pure at first and then it decayed into something different. And then we decided to switch. And it has probed to work since: cycle-time (time from task open to merged and ready to deploy) was cut in half (from 9 days to 4.5 average), and everybody gained a more "team centric" vision. The contrary wasn't an issue with Scrum but us (or me). But the reality is that we changed. We were very, very focused on individual efficacy: avoid noise, avoid interruptions, everyone working on his list of tasks for the sprint (2 weeks each). But it had a downside: you prefer to "finish your list" instead of helping someone else. We changed that. We use realtimeboard, so no, we don't use a tool that automates stuff or anything, we simply put stickers on a wall as we'd do manualy on a physical board. 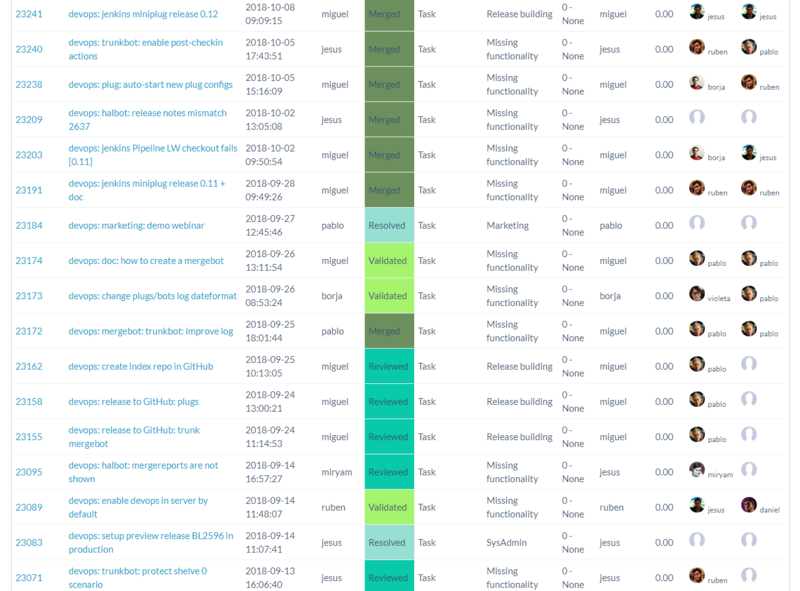 So, we can only have 13 tasks in implement (except lock, that doesn't count), 2 in review, 3 in validation. If you can't enter a new task because the panel reached the limit (13), then you have to review or validate. And this is good, because you don't focus on "your list" but on team progress. Of course, our hard-earned efficacy skills mean we try to be as good as possible on avoiding interruptions (we almost ditched Slack in favor of Basecamp, we don't use email for internal stuff but record everything in Basecamp, etc), and distractions and so on, but now with a sense of achievement when we move work forward. 1. You can have a column with things to do for a big project (check the "unity" column on our kanban board). 2. You can have a cheap list. 3. It is the product manager or project manager job to make sure what we are doing is really adding value. 4. Frequent messages and communications to make sure we are on the same page (with a clear roadmap document, vision docu imagining the short term future, etc). You make a very good point about not assigning task numbers / entering into issue tracker too early. In that case, I guess it is not much more work to enter the task number manually into the planning document/list once ready, since the plan will probably need to be updated to reflect the current thinking anyway. (I used to hate all the bloatware that comes with Windows so I had uninstalled OneNote without trying it, but maybe I should have given Microsoft more of a chance - been playing around with Edge browser recently and it actually has some pretty nifty features! I'm typing this in a Windows Defender Application Guard sandbox right now - not because I think your forums are dodgy and malware infested, but because I'm playing around with a fresh OS install and haven't installed antivirus yet 🙂).